MARINE BOILER ili> KANGRIM HEAVY INDUSTRIES CO., LTD.
MARINE BOILER <@£> KANGRIM HEAVY INDUSTRIES CO., LTD.
MARINE BOILER ili> KANGRIM HEAVY INDUSTRIES CO.,LTD. MARINE BOILER i£> KANGRIM HEAVY INDUSTRIES CO., LTD.
<@£> KANGRIM HEAVY INDUSTRIES CO., LTD. 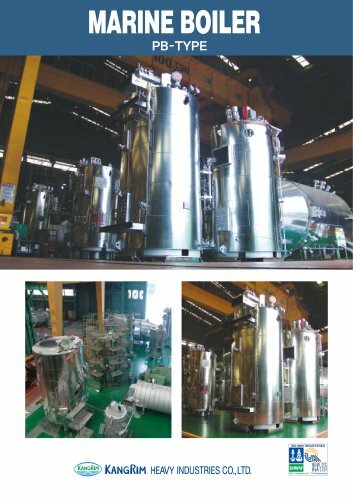 WASTE HEAT RECOVERY SYSTEM <@£> KANGRIM HEAVY INDUSTRIES CO., LTD.